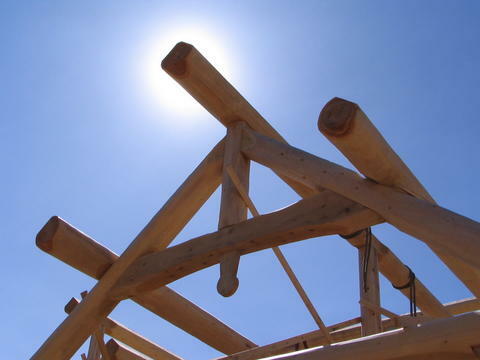 Log Home Projekte und Details. Here are some pictures from our recent jobs. 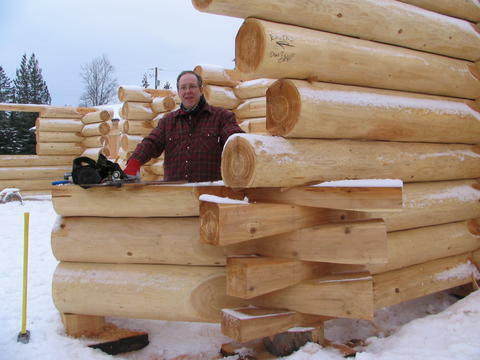 Featuring various handcrafted full scribe log homes and log cabins. Slokana Log Homes built this week-end log home near Vitanje, Slovenia. Our featured log cabin was built not far from the Rogla ski hill in Slovenia. The snow was starting to fall during the October 2007 build. This 1109 sq ft plan is now called the Slovenia. To view the floor plans click here. This log cabin features an open spacious design with 2 bedrooms upstairs and a beautiful full rock basement and wine cellar. To see our photo stream of this home click here. 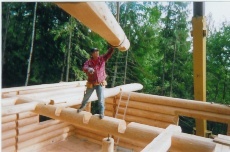 Mike guiding a log floor joist into place while building a home near Celista, B.C. Mike placing a log purlin for the roof. 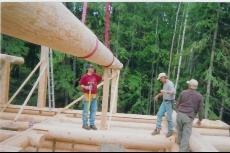 An example of a handcrafted log king truss. 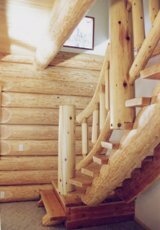 A custom staircase that works well where space is limited. The Slokana hat is fashionable. We can also build with "Dovetail Notch". 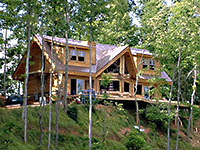 More pictures of homes built by Slokana Log Homes in Slovenia. 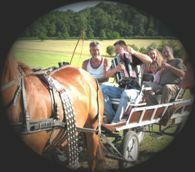 A great way to celebrate in Slovenia when the log home is complete.